On the northern slope of the island of Serendipity is a small, wonderful kingdom called the Land of Later. In this kingdom there lived a young, beautiful princess who everyone simply called Princess. The castle was governed by the kings simple rules. One of those rules was that when you woke in the morning, you cleaned your room and made your bed. Princess hated rules. Most of all, she hated doing anything at any time unless it was much, much later. This morning, as on others, she awoke, got dressed, and went outside and took a walk instead of cleaning her room. Princess walked into the forest near the castle. I should start back before I get lost, she whispered to a bunny on the path. Then she laughed, I will go back but just, just a little later! 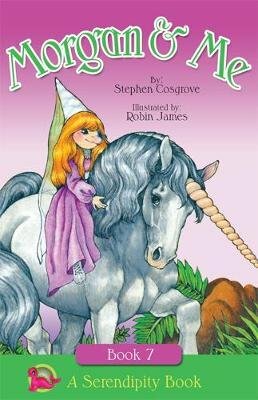 It was on the journey that Princess met a unicorn called Morgan. And it was on this journey, with the help of Morgan, that she learned that doing things now is always much better than later.